If Trump Expelled Russian Diplomats with Flimsy Fake News Evidence? Soon we won’t have to deal with the laughable policies of Barack Obama, as true competence will occupy the Oval Office. We’ve already seen the results when a skilled leader comes takes over. In only a few short weeks as President-elect, Donald Trump has changed the morale of America and the world. Trump’s accomplishments are tangible, not theoretical. Yet, he was called a loose cannon by the Left? What we witnessed with the so-called Russian hacking was the real loose cannon of DC: Barack Obama. With trumped up “evidence”, Barack Obama blamed the Russians for a hack that logically is an impossibility. 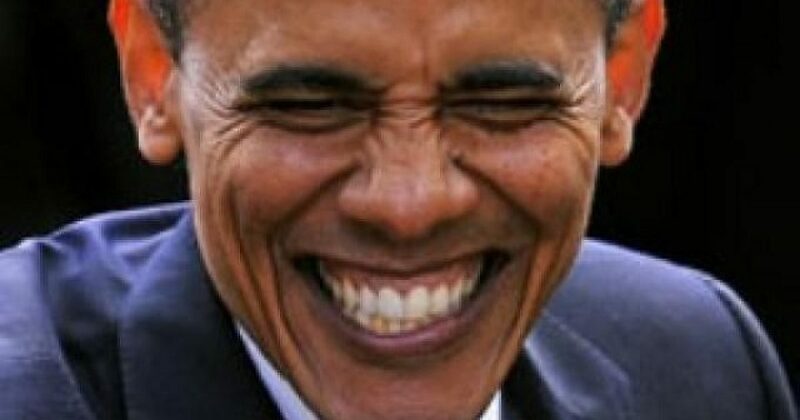 Obama and other bludgeoned-ego Leftists want America to believe that the Russians selectively hacked an election where Hillary Clinton got 3 million more of the popular vote than Trump? If I hacked the election, Trump not only would have won the Electoral College, but I would have made damn sure to remove Clinton’s popular vote bragging rights. Before I provide even more real news evidence of the ignorance of Democrats, ask yourself this question. What would the media be saying, if Trump had expelled Russian 35 diplomats, and closed two offices with the “evidence” presented? Suddenly the media would question the flimsy “fake news” evidence. And they would be right to. But because the “evidence” was presented by Obama, the media accepts it, like a good battered wife. To believe the Left’s “Russian Hacking 101” theory, one would have to believe the Russians have been hacking for 8 years. Because the results have been brutal for the Democrats. Consider how precarious is it for the Democrats when 50% of their house seats are concentrated in these states: CA, NY, and New England. As if that wasn’t bad enough, 60% Democrat House seats are concentrated around urban areas. The 2016 election gave Republicans control of all three branches of government, something they haven’t had since 2006. Republicans control governorships in 33 states, the greatest number since 1922. Republicans will control 66 of the 98 state legislative chambers in 2017. Obama acted irrationally, as he is a thoughtless moron. This move represents yet another attempt by Obama to disrupt Trump’s transition. The media know this, but they ignore the obvious. Now that Trump leads the country, none of what Obama does will matter. Compared to Trump, Obama looks like a 3-year old drooling in his cereal. This is why Putin didn’t retaliate, expelling American attaches in Russia. Putin awaits Trump, and you can bet the two have already communicated with one another on this matter.